Jakarta - PT. Toyota-Astra Motor (TAM) and PT. Toyota Motor Manufacturing Indonesia (TMMIN) today handed over a donation of 400 million as part of its ongoing commitment to support the humanitarian activities of Toyota Indonesia through the Indonesian Red Cross (PMI). Donation was handed over by the Vice President Director of TAM Henry Tanoto and Vice President TMMIN Warih Andang Tjahjono to the PMI Chairman of the Board, Ginandjar Kartasasmita in PMI Headquarter at Gatot Subroto - Jakarta. "We are aware that the value of help is still far from the needs of the PMI, but we hope that this contribution can help smooth operation of PMI both emergency and operational. We're working on it, besides through this aid, Toyota is also ready to help PMI to face the unexpected obstacles, such as natural disasters, "said Vice President of TMMIN Warih Andang Tjahjono. Just like before, Toyota Indonesia constantly strive to contribute to provide humanitarian aid through the Indonesian Red Cross. Toyota Indonesia has been working closely with the PMI since 1977 through the delivery of 40 units of the first generation Kijang that begin to produced by Toyota Indonesia.The cooperation continues to run either through blood donation from Toyota employee to PMI, donation tools for supporting the operations of PMI as ambulances, boats, and water tank trucks, as well as donations on emergency package for victims of natural disasters such as the tsunami in Aceh, the earthquake in Jogjakarta, such as Merapi volcanic eruption, and flood in Sinabung. 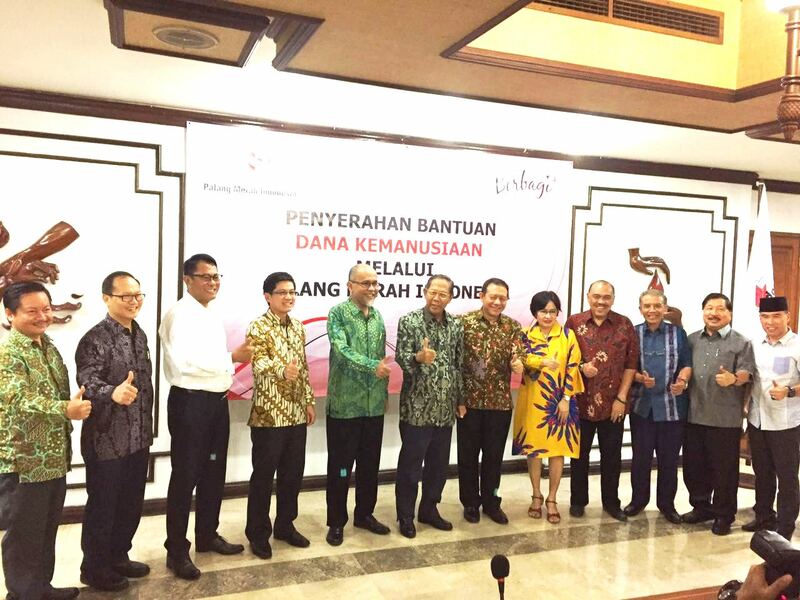 Last year, Toyota Indonesia contributed approximately 1,400 of blood bags and 3 units of water tankers. "Assistance to the PMI is part of a commitment to corporate social responsibility in sustainability that has been distributed in various forms and fields such as for the traffic safety, improving the quality of human resources (education), environmental and community development (community development) and philanthropy that became basic pillars of CSR of Toyota Indonesia, "said Vice President Director of TAM Henry Tanoto. "We hope this donation can help the operational of PMI in ease our brothers and sisters suffering that affected by the disaster. In the future, we are committed to continue to actively participate in various humanitarian activities carried out by the Indonesian Red Cross, "said Henry.